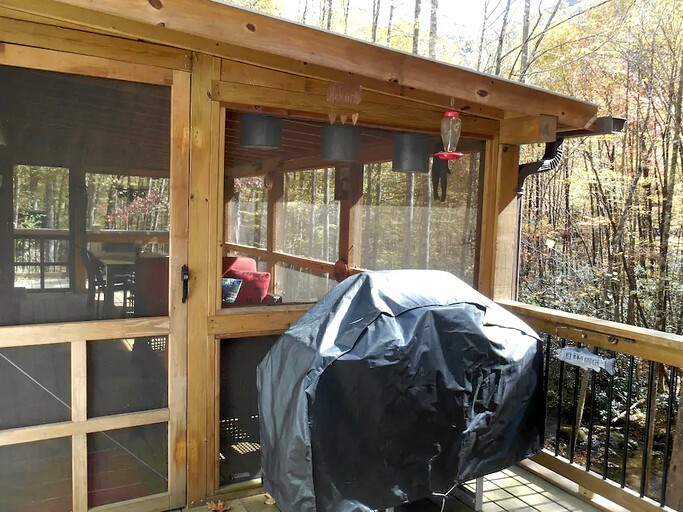 This elevated cabin for rent in the secluded woodlands of the Nantahala National Forest in North Carolina is perfect for couples looking for a peaceful and romantic getaway in the great outdoors. 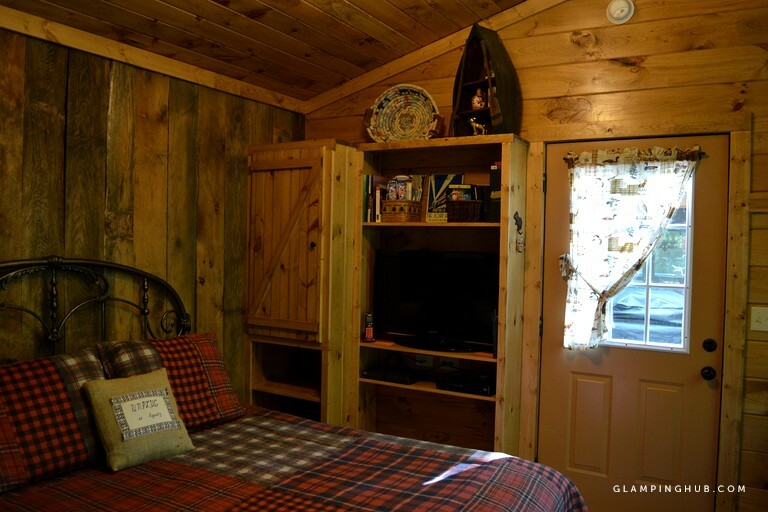 The luxury, 200-square-foot camping accommodation offers a queen-size bed and private bathroom. 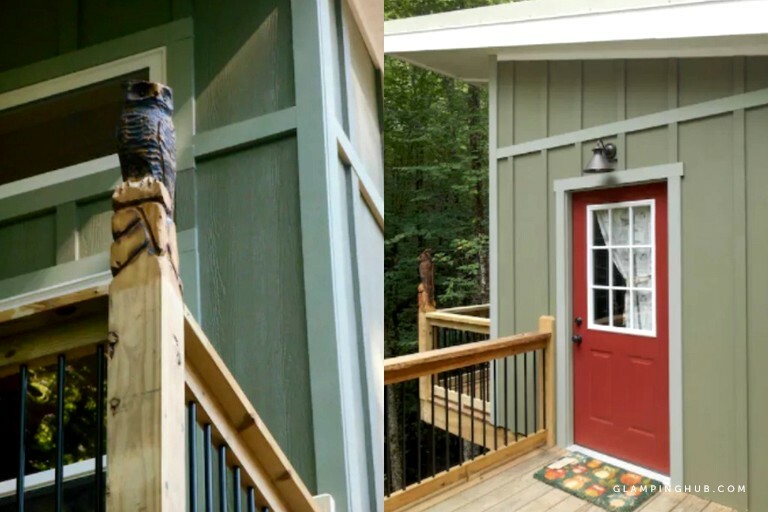 It is attached to owner's residence and back deck. 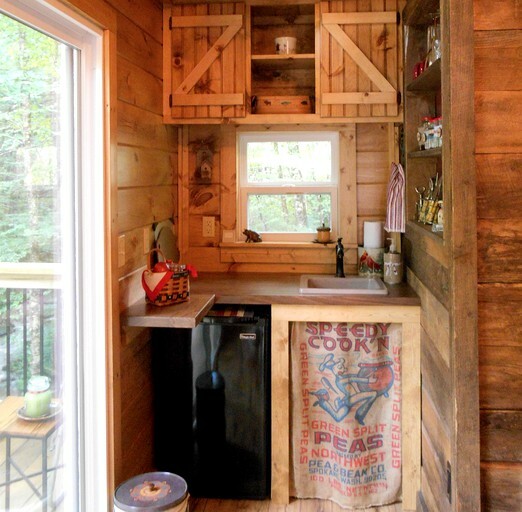 The kitchenette is fully equipped with everything glampers will need to cook simple meals including a sink, a counter height refrigerator, a coffeemaker, a toaster, and all necessary pots, pans, and dishes. Guests can cook on the gas barbecue outside or on a hot plate. 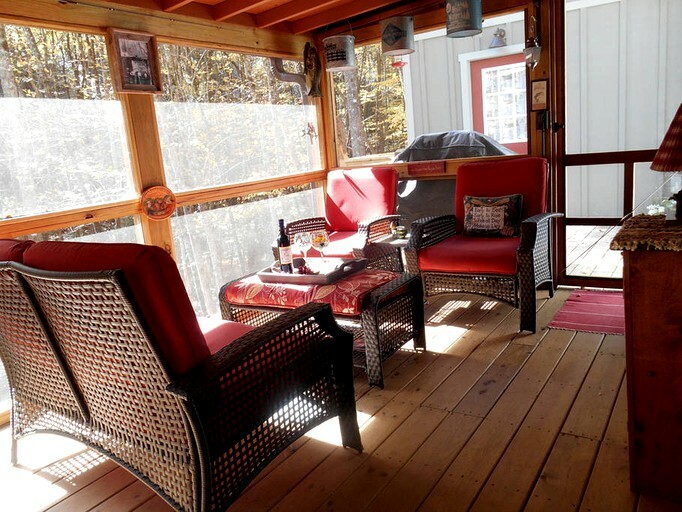 Guests can enjoy their meal on their private deck at the bistro set or inside the hosts screened-in porch at the dining table. Outside, guests can make meals on the gas barbecue and enjoy them on their private deck at the bistro set or inside the screened porch at the dining table. Imagine waking up among the trees and enjoying the peaceful surroundings that this glamping site offers. As the hosts live onsite, a hot breakfast can be provided for an additional fee. 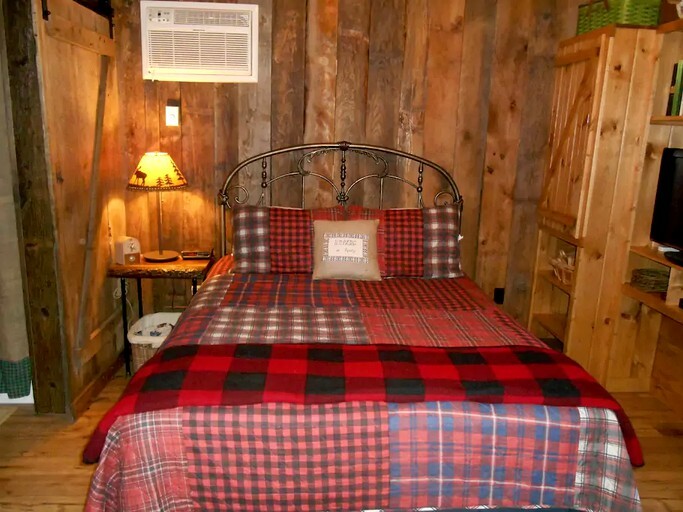 There are air conditioning and heating throughout the accommodation. 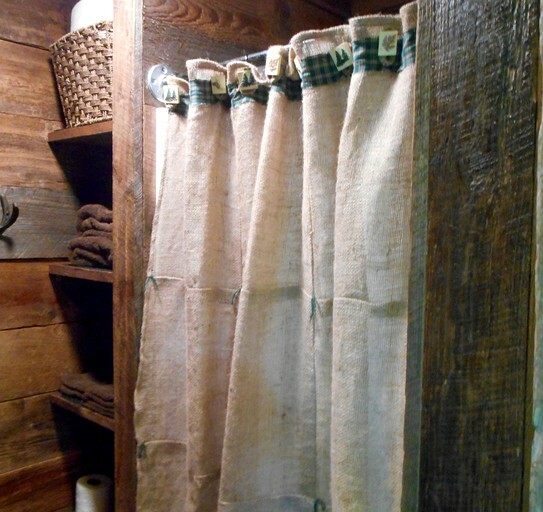 Guests are not required to bring their own towels or linens, as these are kindly provided by the host. There is free parking on the premises of this property. 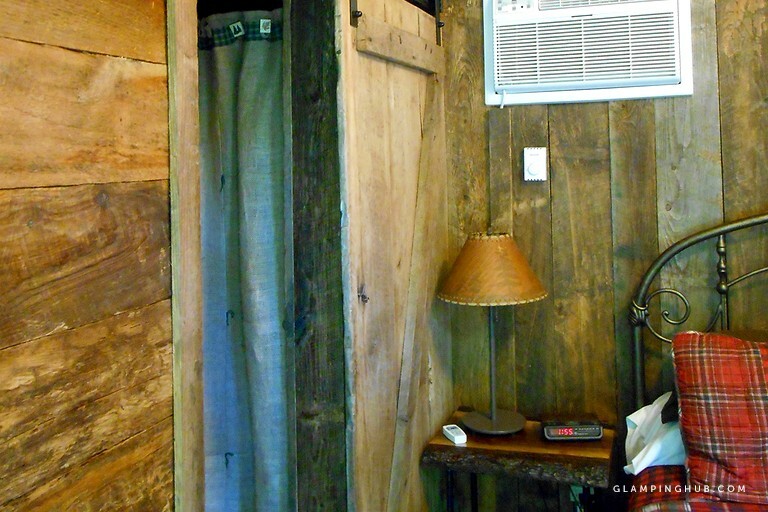 Additionally, hangers, a hair dryer, and basic toiletries are given to guests while glamping here. The base rate does not include breakfast. Simple hot breakfast is available $10 per person per day. Advance notice is required. 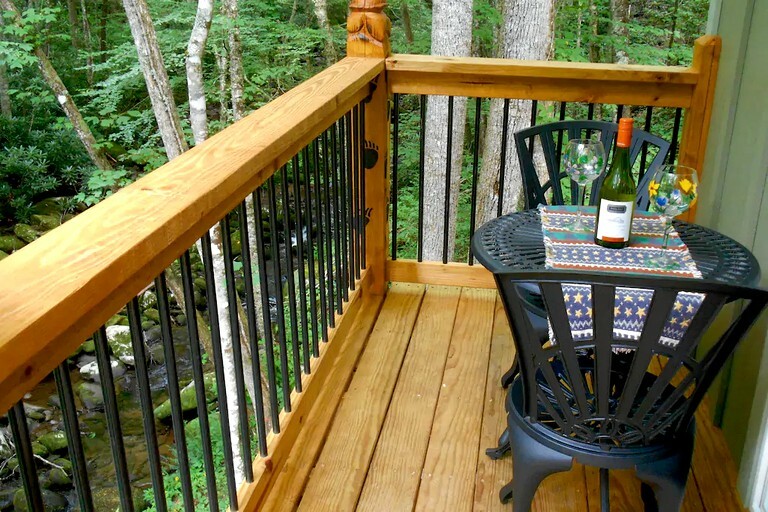 Guests can enjoy meals at the bistro set on a private deck overlooking the creek or a small table inside. 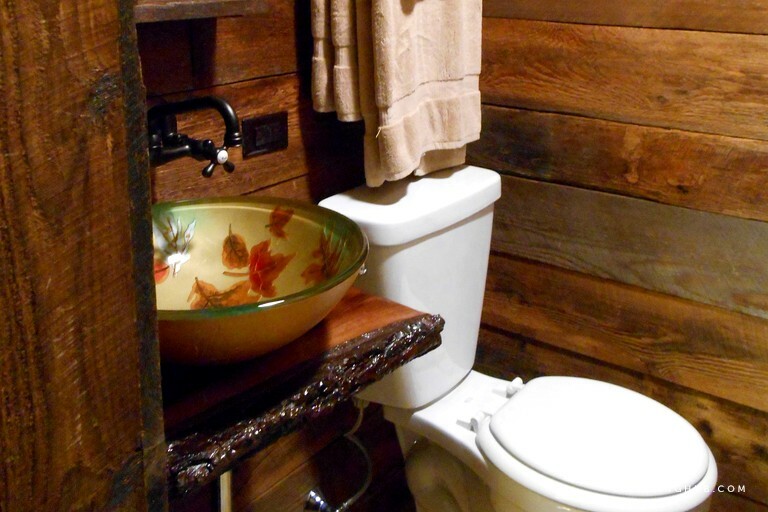 Guests can experience the backwoods in this uniquely-decorated, remote, 200-square-foot glamping accommodation with a private deck overlooking the beautiful Squally Creek. 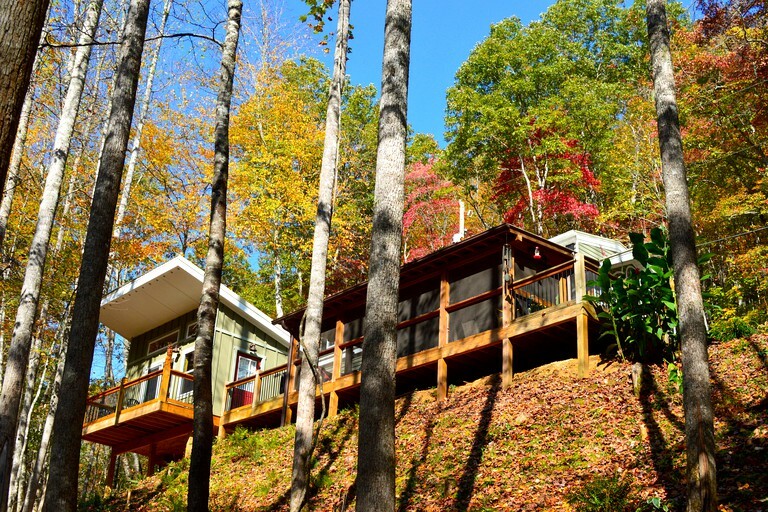 The luxury bunkhouse is nestled in the treetops of the Nantahala National Forest and is perfect for those looking for a peaceful and relaxing break. 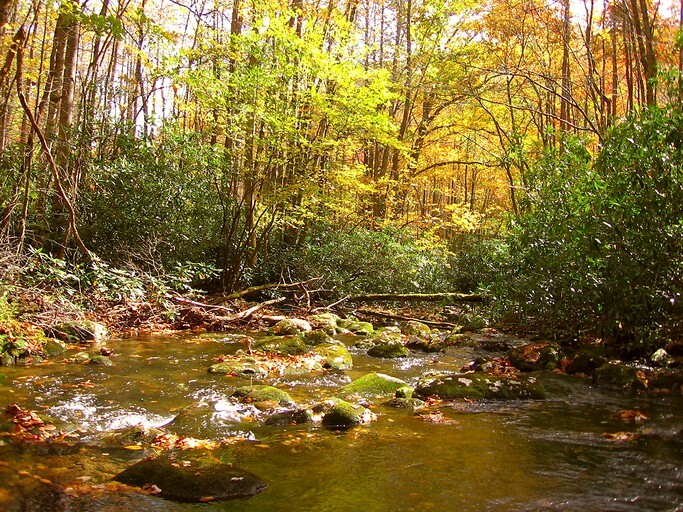 The retreat is also near the famous Tail of the Dragon/Deals Gap, Cherohala Skyway, Joyce Kilmer, and Stecoah Gap's bird-watching trail. 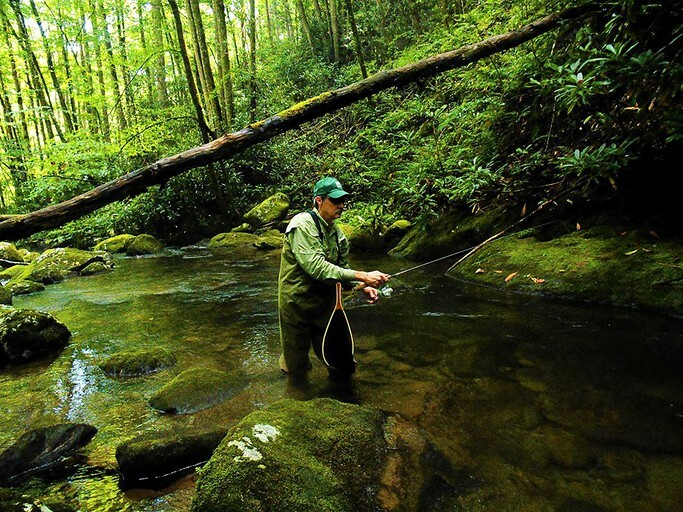 Whether guests love fishing, hiking, mountain biking, dirt bikes, 4x4s, rafting, boating or wildlife watching, they are sure to find something they love on this getaway. 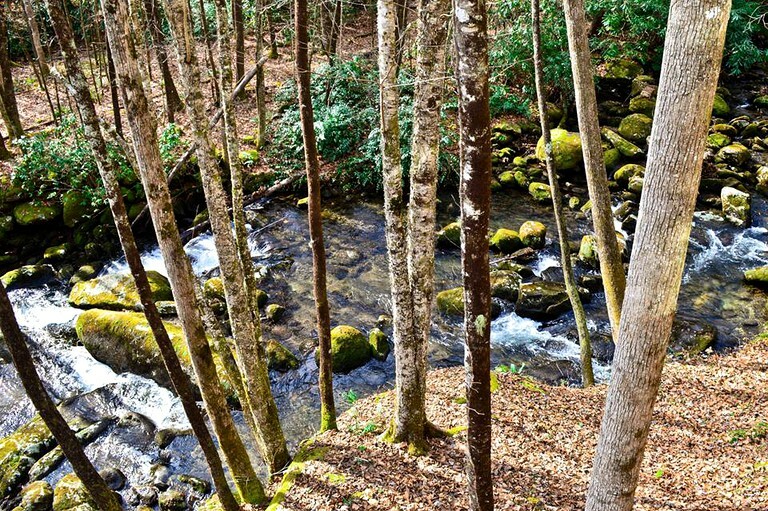 Great Smoky Mountains National Park is approximately two hours away while the town of Robbinsville is a 30-minute drive for those who want to check out local cafes, restaurants, and shops. 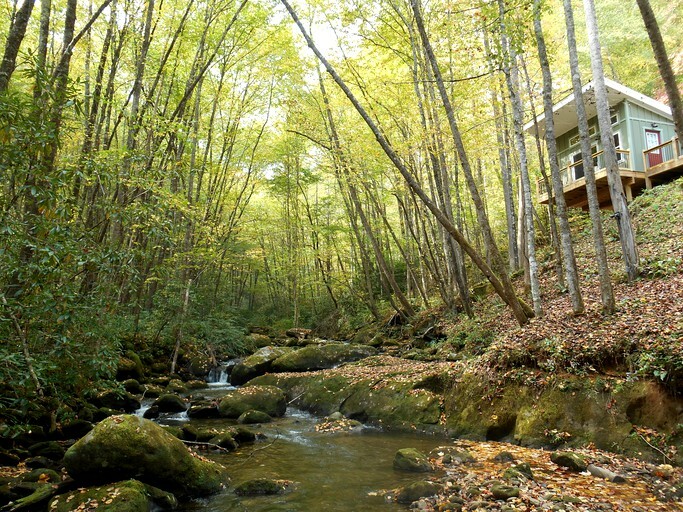 It is ideal for couples who want to escape to nature's beauty. 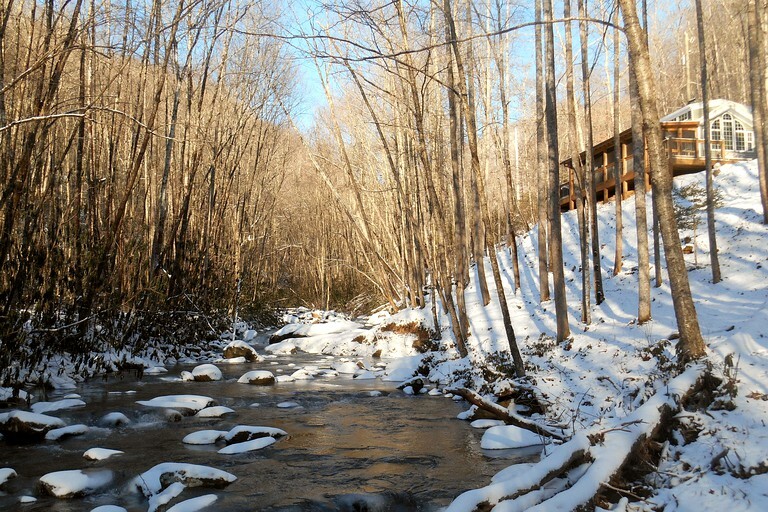 The backwoods of the Nantahala National Forest is the backyard and playground of this glamping property. 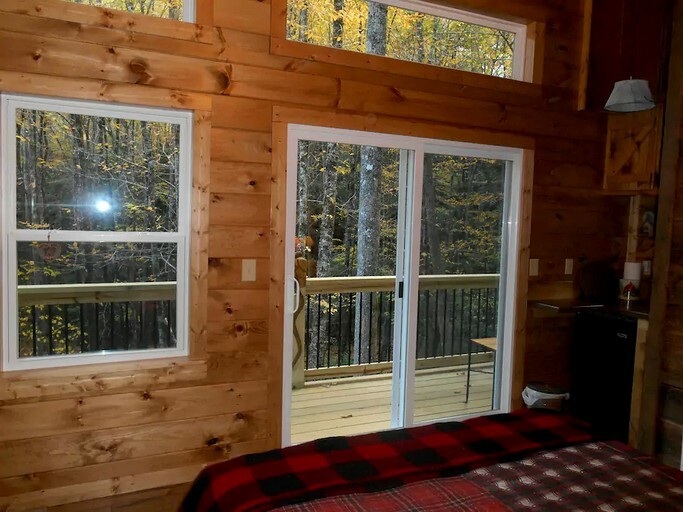 If guests like trout fishing, hiking, birding, 4x4s, dual-sport bikes, mountain bikes, or just listening to the sounds of nature, this adventure is right on the doorstep of the accommodation. 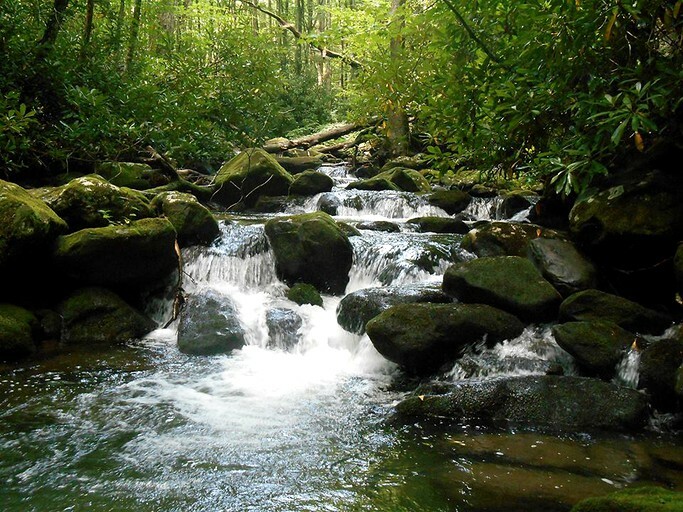 There is no requirement to get in the car to explore nature while staying on an old logging road that follows the creek for miles. The stress of civilization starts to fall away, it is peaceful, remote, and surrounded by nature's beauty. 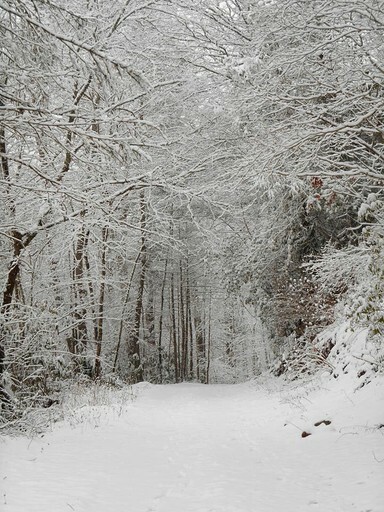 The site is close to the Cherohala Skyway and "Tail of the Dragon". 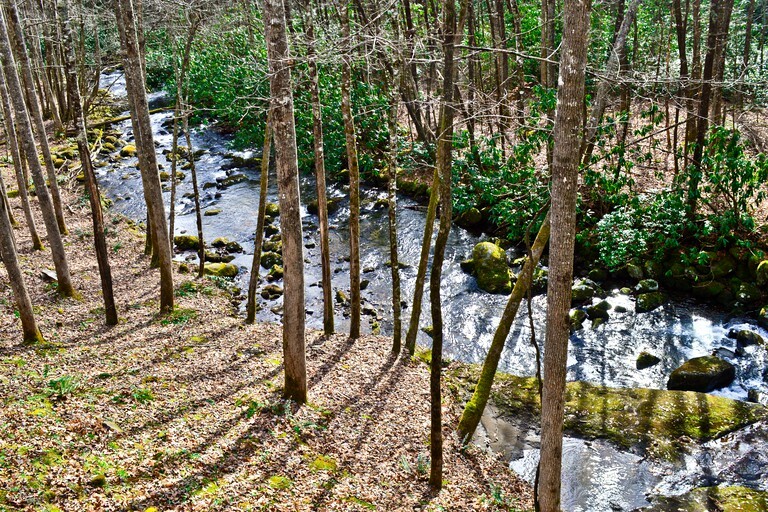 Other activities available in the area include dining, craft shops, music, waterfalls, and water sports, such as kayaking, canoeing, and river rafting. Check-in is between 4 p.m. and 10 p.m. Check-out is 10 a.m. 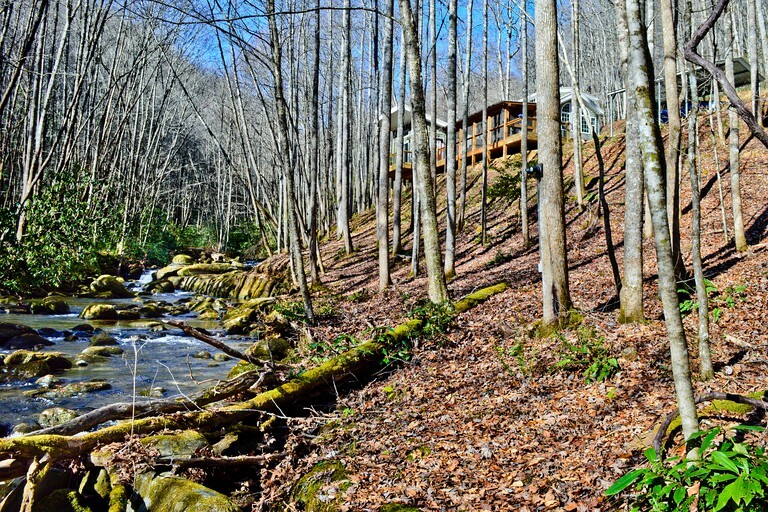 This property is located off the beaten path on a bumpy graveled old logging road that needs 5" clearance. 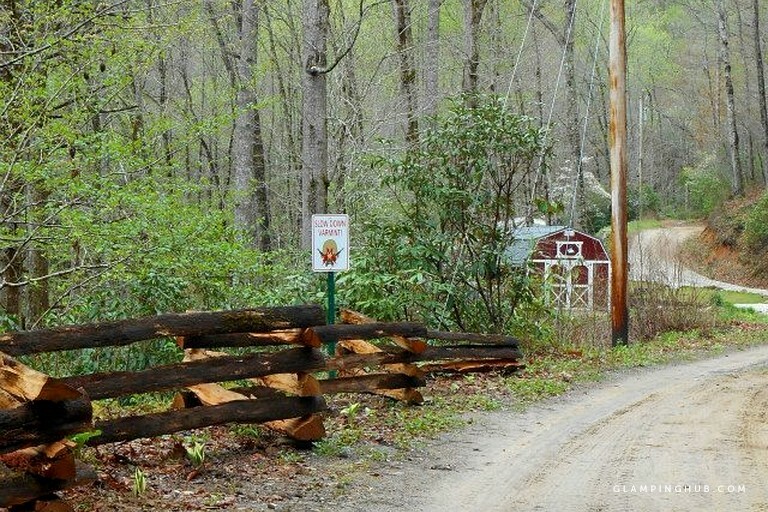 Motorcyclists should note that the lane immediately to the cabin is on a gravel grade. GPS signal will be lost, so directions will be passed on via a message when booking is confirmed. Guests can contact the host if they are concerned about the road condition. 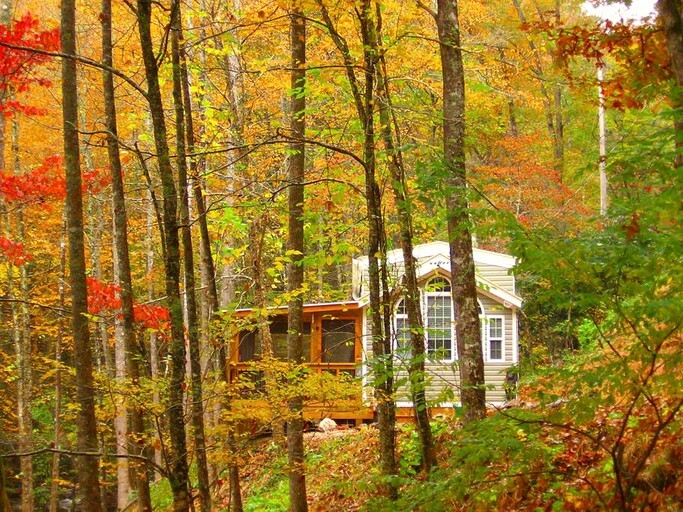 This glamping property accommodates two guests. The property is not suitable for pets, and no events or parties are allowed. The site is also not suitable for children under 12 years of age. 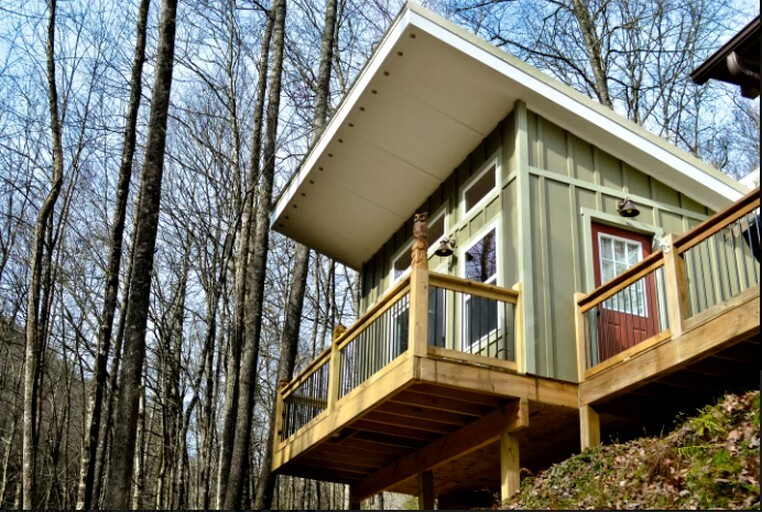 There is no cell phone service at the glamping accommodation.